Each day, millions of Americans use the Internet to apply for jobs, sign up for health care, and register to vote. But many people — a whopping 55 million of them — lack this basic, but essential, convenience. That’s because they don’t have high-speed Internet at home. The problem, which is particularly acute in lower-income communities of color, creates a major barrier to full participation in our economic and political systems. Through an ongoing initiative — led out, in part, by New School Senior Vice President for Social Justice Maya Wiley during her time as counsel to the Mayor of New York City — the City aims to create universal broadband access for its residents by 2025. Taking an equity approach, the City began by providing free high-speed wireless to the Queensbridge apartments, the largest public housing community in North America. 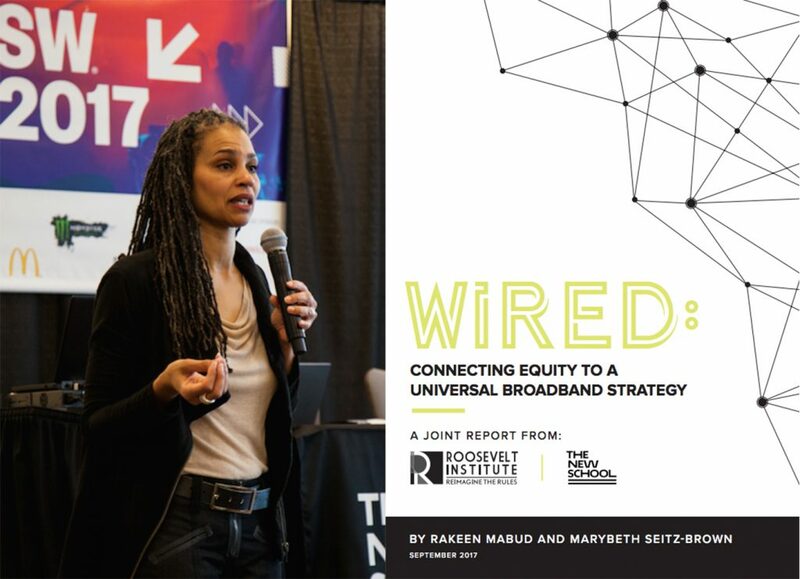 In a new case study, “Wired: Connecting Equity to a Universal Broadband Strategy,” The New School’s Milano School of International Affairs and the Roosevelt Institute, where Wiley is a fellow, examines the Queensbridge initiative to better understand the twin causes of digital inequity — a history of racial segregation and the monopolization of Internet companies — and how cities can be effective innovators in tackling them. The study comes at a time when federal-level policy is shifting radically towards greater deregulation of the telecommunications industry, which, according to the case study, threatens to widen the digital divide. While significant federal enforcement and investment is needed, the study makes the case that there are ways cities can disrupt highly concentrated telecommunications markets and increase digital equity absent federal support. The study is the first publication for The New School’s new Digital Equity project spearheaded by Wiley and for the Roosevelt Institute’s growing work connecting market power to structural racism.